One school currently under fire—the University of Southern California—is no stranger to controversy. Inside Higher Ed points out that USC was known as a party school back when competition to get in was less intense, noting, “People joked that USC actually stood for ‘University for Spoiled Children.’ In more recent years, however, the university had adopted more selective admissions requirements. When the most recent corruption scandal hit the newswires, prosecutors named names—and the story took on a life of its own after the charges resulted in celebrities trading in their typical publicity photos for mug shots. Headlines focused on the $25 million paid by Hollywood and corporate elite to win spots for their children at elite universities, sparking interest and outrage. Subsequent photos of one of the benefactors of the fraud enjoying spring break in the Bahamas—on a yacht owned by USC Board of Trustees chairman Rick Caruso—added fuel to the fire. 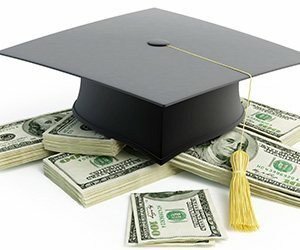 Inside Higher Ed writes, “Many USC students, alumni and influential benefactors are deeply disappointed and angry about the latest turn of events and are highly critical of the administration under whose watch the bribery apparently occurred undetected.” But that’s not the only hurdle the university must overcome. In the past two years, USC administrators have come under fire for sweeping complaints about sexual harassment and abuse under a rug. The article notes that students, alumni and supporters of the university are frustrated by an administration that is constantly focused on damage control instead of proactive reputation management. Admissions isn’t the only area of risk on campuses across the country. Last fall, two Adidas employees and an agent were found guilty of fraud in a scheme that paid student athletes to choose certain universities. Four coaches were also arrested in connection with the case and will go to court soon. Increasingly, universities and the foundations that support them are recognizing the need to better prepare for risks and opportunities on the horizon. Whether you are recruiting students for NCAA teams or donors to support your fundraising initiatives, the threat of reputational, regulatory, financial and strategic risk is constant—especially in the age of viral media. A survey by United Educators finds that 70 percent of institutions report having a formal enterprise risk management process in place and 69 percent say that institutional risk is a topic at the boardroom table. What issues pose the greatest reputational risks to universities? The top risks universities expect to face in the future? How can universities better mitigate risk? It starts with having the right tools and processes in place. Monitor current reputation through social media mentions and guidebook rankings. Set clear mission and value statements that establish a culture of ethical conduct. Assign ownership of risk management with clear lines of communication when red flags are identified. Identify high-profile programs or individuals that have the potential to pose greater risk should they be perceived or proven to be above the rules. Conduct periodic risk assessments to establish a baseline for additional investigations. Implement risk-based due diligence before onboarding new vendors, suppliers, high-profile or politically-connected individuals (either as students or benefactors). Engage in ongoing risk monitoring across news, legal and financial sources to surface potential threats BEFORE they become a PR crisis that could damage your reputation. As the latest headlines show, without a comprehensive approach to managing risk AND a commitment from the top to meet ethical expectations, universities have a lot to lose. How confident are you in your current risk mitigation efforts? Read more on our blog about managing bribery and corruption risk. Learn how Lexis Diligence® and LexisNexis® Entity Insight can help your organization stay on top of risk. Share this blog post with your colleagues and connections on LinkedIn.